Royal National Park Australia was the country’s first official national park. Located in New South Wales, around thirty kilometres south of Sydney, ‘Nasho’, as the locals call it, was formally proclaimed on 26 April, 1879, making it second only to Yellowstone in the US as the world’s oldest national park. It was also the first to use the term ‘national park’. Despite its historical significance, it was only added to the Australian National Heritage List in 2006. The five times NSW Premier, Sir John Robertson (1816-1891), founded Royal National Park NSW as part of his major land reform policies, including the Robertson Land Acts of 1861, which were designed to break the monopoly then held by squatters and open up the selection of Crown land. Originally known as just ‘National Park’, it was renamed ‘Royal National Park’ in 1955, in honour of Queen Elizabeth’s 1954 Australian tour. However, the closest she ever got to visiting the park was passing through it on a train travelling from Wollongong to Sydney during her tour. Often called Sydney Royal National Park because of its close proximity to the capital city, it covers over 15,000 hectares and hugs Australia’s east coastline from the Port Hacking River (near Cronulla), which acts as the main northern boundary, down to its southern most tip at Otford, a northern suburb of Wollongong. Despite its national significance, ‘Nasho’ is only mid-sized, and practically tiny compared to NSW’s other famous attraction, the Blue Mountains National Park, which sprawls over almost 270,000 hectares. 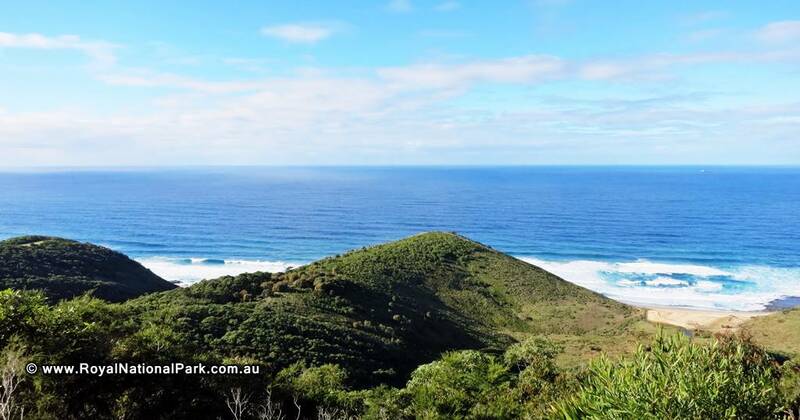 Because of its coastal location, the Royal National Park attracts visitors for its secluded beaches, as well as bushwalking and biking trails, picnic grounds, camping grounds, rowboats on the river, and various swimming holes. Cliff jumping into the swimming holes is popular with locals, but not sanctioned by park management, and strongly discouraged due to safety concerns. 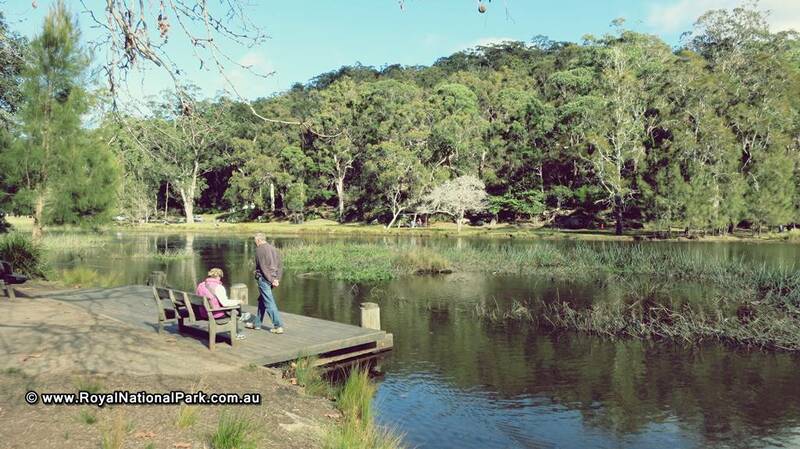 Access to the park is gained either by car, with entry points at Loftus, Waterfall and Otford, or by ferry from Cronulla. Entry costs $11 per vehicle, per day, with opening hours from 7:00am to 8:30pm, seven days a week (with exceptions for emergencies, such as bushfires). Rules are enforced by rangers of the NSW National Parks & Wildlife Service, the organisation that manages, operates, and maintains all of NSW’s national parks, including Royal National Park Sydney. The parks service also works to preserve and protect the Royal National Park’s native wildlife through extensive biodiversity surveys and studies, bush regeneration programs, and spreading the conservation message to the public through education and awareness. The natural environments found in ‘Nasho’ are some of the last surviving remnants of flora and fauna that were once extensive throughout the region, before being decimated by development and human habitation. 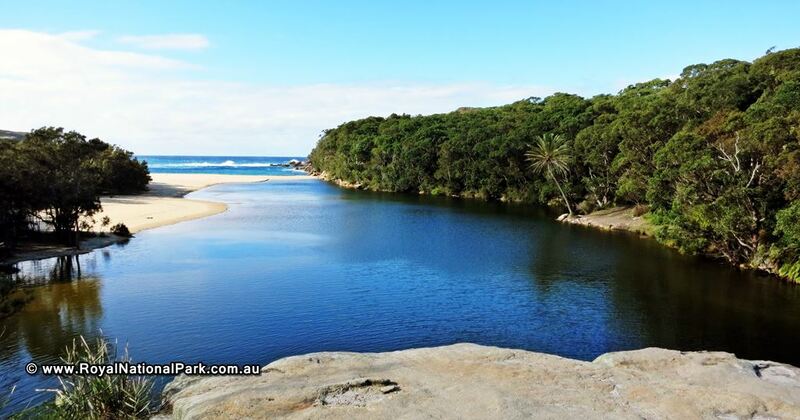 The Royal National Park’s geography includes coastal cliffs broken by inlets and beaches, high plateaus broken by deep river valleys, and sections of bushland on mostly even terrain. Along the coast is a heathland of hardy, salt-tolerant shrubs growing in a thin layer of sandy topsoil on rocky ground. These include she-oak, grass trees, ground-level forms of coast banksia, long-leaf mat-rush, coastal rosemary, honey-myrtle, ridged heath-myrtle, pine heath, kangaroo grass, and certain sections of rare and threatened cliff top grasslands. The heathlands are home to many threatened species of native birds as well as more common birds, such as Lewin’s honeyeaters, New Holland honeyeaters, Beautiful Firetails, Chestnut-rumped heathwrens and Southern Emu-wrens. The steep river valleys are home to a huge variety of different eucalyptus trees, and small ground-cover plants growing along the extensive network of streams (which contain eels and fish). 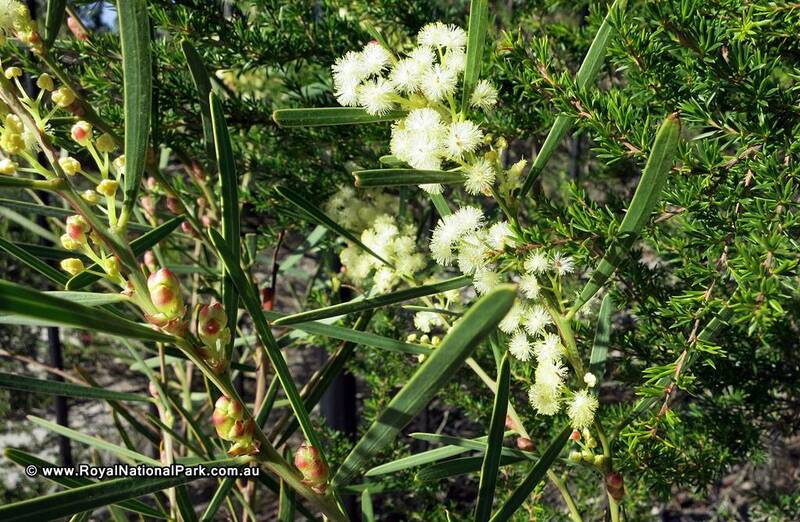 You will also find redgums, Port Jackson pines, many types of banksias, a variety of native orchids, grass trees, waratahs, wattles, Gymea lilies, and rarer hybrid species, just to name a few. Varieties of ferns grow closer to the shady, damp valley floors; a comparatively rare environment in a country with as warm a climate as Australia, which also supports cabbage palms, blackbutts, sassafras, coachwoods and lilli pillis. These areas are also rich with birdlife, including kookaburras, black cockatoos, rosellas, wrens, willie wagtails, whistlers, lyre birds and many more. You’ll also find native honeybees, wallabies, wallaroos and echidnas. There are also small numbers of the much rarer koalas, dingoes and spotted quolls. Closer to the Port Hacking River are the mudflats and salt marsh, where mangrove trees grow and fish such as yellowfin bream and flat-tail sea-mullet breed. The mudflats are also home to a wide variety of crabs and other crustaceans. More threatened bird species can be found here, as well as the more common herons, egrets, ibises, kingfishers and pelicans. The tidal rockshelfs and rock pools contain various molluscs, Sydney Rock oysters, Waratah anemones, Biscuit sea stars, and deadly blue-ringed octopi. Due to how hard it is spot a blue-ringed octopus, and their fast-acting fatal toxicity, park management strongly recommends staying out of the rock pools completely and just observing them visually. “Nasho”? Really? Would that be only Shire uber-locals?